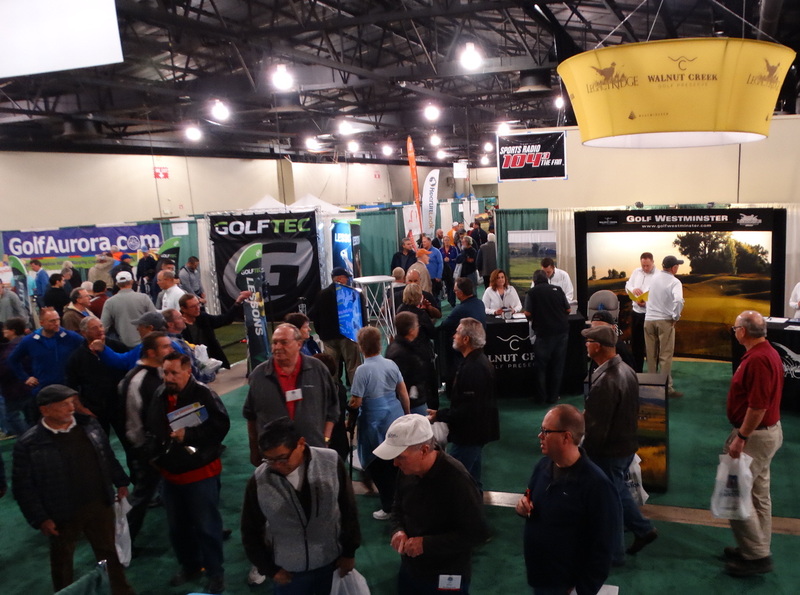 How to draw big crowds for their three-day consumer golf show, which takes place in mid-winter but helps whet the appetite for the golf season in Colorado. From 2008 through 2012, the Expo attracted more than 10,000 people four times in five years, including an all-time best 11,202 in 2008. But since 2013, the Expo has never again reached the five-figure mark. Last year, the total attendance was 8,781. To be sure, the weather has a huge influence on attendance. If it’s too warm, many golfers go out to play rather than come to the show. But a lot of snow or extreme cold can also keep numbers down. Obviously, there’s nothing Expo organizers can do to control the weather in Colorado in February. So it’s up to the Cramers to find things that are in their control that may move the needle upward. With that in mind, the Cramers are doing a little tweaking with this year’s Denver Golf Expo, which runs Feb. 8-10 at the Denver Mart (I-25 and 58th Ave.). In particular, they’re focused on trying to attract more young and middle-aged adults to the show. While it may be a multi-year, evolving plan, this year there will a new area at the Expo, called “The Turn”, that will replace the beer garden in the center of the Pavilion, and two additional food options on the Pavilion floor besides the one returning in the Plaza area. Also, for the first time, the closest to the pin contest on a simulated par-3 will feature two TrackMan launch monitors. Still, Cramer isn’t sure 10,000 attendance for the three-day show is a readily-attainable goal. Baby Boomers, largely responsible for driving the growth in the game that took place in the late 20th and early 21st centuries, are getting up in years a bit, which could be taking a toll. However, other numbers in the Denver Golf Expo have been on a positive trend. For instance, exhibitors at the show went from 112 in 2017 to 131 last year, and are expected to hit a similar number in 2019. As usual, there will be plenty of those exhibitors offering deals on green fees, equipment, golf travel etc. Also up are the number of sponsors at the show. In something that won’t change from years past, many of Colorado’s top golf organizations will be on hand to promote the game and offer services. ColoradoGolf.org will have more on that front early next week. Among those at the Expo will be the CGA, Colorado PGA, Junior Golf Alliance of Colorado and the Colorado Golf Hall of Fame. As usual, Colorado PGA and LPGA professionals will be providing free 10-minute lessons to attendees, The First Tee of Denver will handle a pitching area, and the JGAC will be overseeing a large Junior Golf Experience area which will include Birdie Ball full swing and chipping — complete with large inflatable targets — and miniature golf. Another mainstay that’s back is the large club demo area run by Lenny’s Golf. — Free seminars will be held each day of the Expo, with former Broncos receiver Brandon Stokley taking a “celebrity lesson” from a Colorado PGA pro on Feb. 8 at 3 p.m. That will be after Stokley wraps up his live broadcast from the Expo from noon-3 that day on The Fan radio (104.3 FM). Jerry Walters’ “In the Fairway” program, also on The Fan, will broacast from the Expo on Feb. 9. Among the other seminars will be the CGA’s Robert Duke conducting sessions on the modernized Rules of Golf on Feb. 8 (11 a.m.), Feb. 9 (2 p.m.) and Feb. 10 (noon). For a lineup of all the seminars — which also include a variety of instruction and fitness tips — CLICK HERE. — The grand prize for the winner of the closest to the pin contest on Sunday will be a trip to Maui, Hawaii, with golf at Royal Kaanapali and lodging at the Hyatt Regency. And the winner of the long-putt challenge putt-off receives a stay-and-play package at the Tubac Resort & Spa south of Tucson, Ariz.
— Forty tickets to the July Web.com Tour event at TPC Colorado will be given out over the P.A. system throughout the show, with another 40 awarded to qualifiers who return for Sunday’s long-putt challenge putt-off. The TPC Colorado Championship at Heron Lakes also will have a physical presence at the show in booth 531. By the way, the Cramers, who have owned and operated the Denver Golf Expo since 2000, will be receiving a Lifetime Achievement Award from the Colorado Golf Hall of Fame on June 2 at Denver Country Club. Tickets for the Expo are available at DenverGolfExpo.com, at the Denver Mart during the show, and at participating Kings Soopers stores. For more information about the Denver Golf Expo, CLICK HERE.